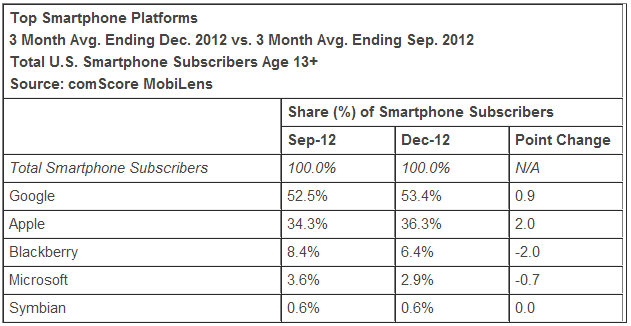 New numbers are in from comScore’s Q4 2012 report, ranking the top five U.S. marketshare contenders. 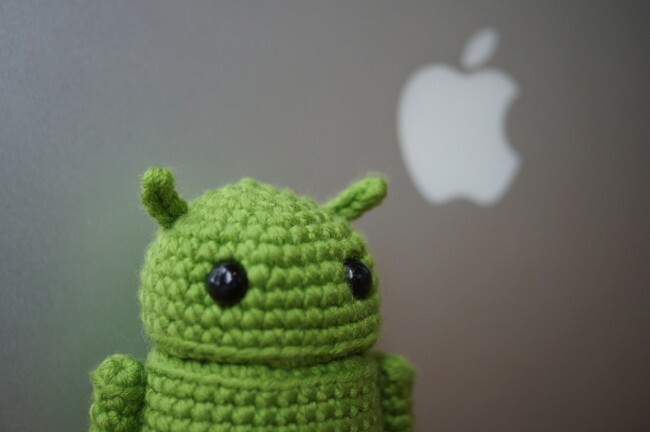 In terms of operating systems, Android is still sitting on the throne with 53.4%, growing from last year’s 52.5%. Following Android is Apple’s iOS at 36.3%, which is quite respectable, considering BlackBerry and Windows make up just a little over 9% when combined. Outside of OS share, comScore also took a look at who controls the hardware aspect of these numbers. 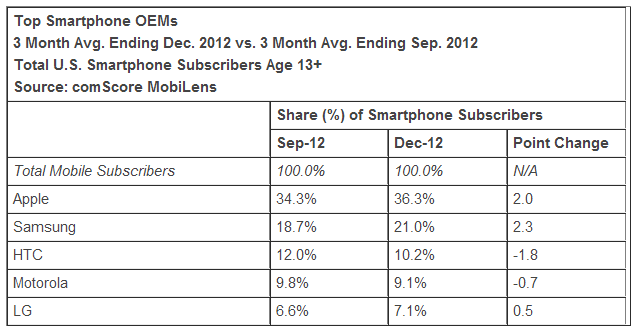 With little change, Apple still holds a 36.3% of that market, with Samsung coming in second with an even 21%. Samsung has gone up 2.3% since last year’s Q4, with Apple also growing by 2%. In terms of growth, no other handset maker is even putting up numbers. HTC has fallen 1.8%, Motorola has sunk 0.7%, and LG saw little gain with 0.5%. Here in America, this has become a two dog show. 2013 is sure to be a huge spectacle, as Apple and Samsung go head-to-head in a giant mobile showdown. A Bigger, 5.5" LG Optimus G Pro Spotted By Blurrycam, Is It Coming at MWC?